Last week at CCF we held the first ever adult Naturalist Training Camp which was the second phase of new camps aimed at developing and training environmental tour guides and naturalists. The hope is that we begin regularly holding training camps for high schoolers, out of school youth or dropouts and adults seeking job training. The area we are targeting is the eastern communal areas on the other side of the Waterberg Plateau from CCF around the town of Okakarara. 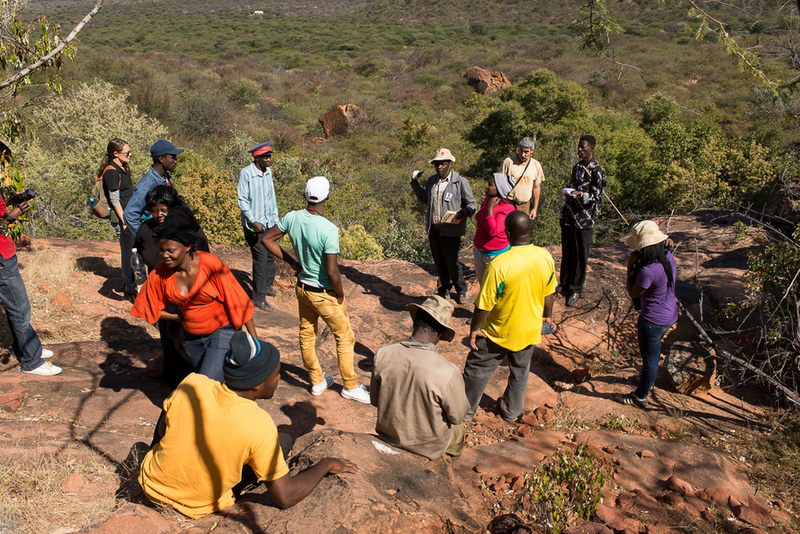 Waterberg Plateau park is a very lively national park and tourist destination and the goal of the camps is to help Okakarara piggy back on the tourist draw to the area and develop additional economic opportunities and jobs for the mostly rural region which has very high unemployment. Last week we hosted 8 adults and 3 out of school youth for 4 days at CCF. We engaged in classes on local flora and fauna, tour guide etiquette, customer service and local history and geology. On the last and final day we traveled to the Waterberg Nature Center and hiked a nature trail while learning more about the flora and fauna and practicing the skills learned earlier in the week. It was a very long week since this was the first program of it's type at CCF. We learned a lot about how to evolve and target the program better to the needs of the participants. All in all several in the group seemed to really connect with some the lessons learned and we started good relationships with some of the members. These relationships will hopefully foster more and more interest in the greater mission of bringing tourism opportunities to the area and it was an exciting first step for everyone. That said...we're all going to sleep well after a long week!